Many Christians become so discouraged because of their sins and failures that they give up on ever having fellowship with God again. They also fear that their broken relationships will never heal. For everyone who has wished for a fresh beginning, here is good news. 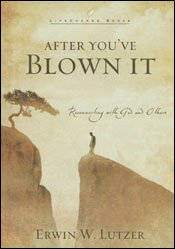 This gentle, affirming book emphasizes how much God wants His wandering children to return to Him. 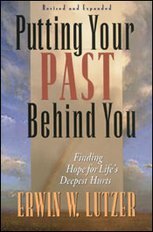 Dr. Erwin Lutzer provides solutions to common questions about how to reconnect with God and with those we are estranged from. Thanks to God's grace, it is never too late to do what 's right. 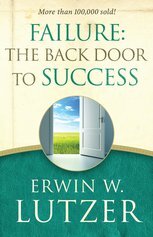 In this powerful, practical book, bestselling author Erwin Lutzer shows you how to clear your conscience and reestablish broken relationships. Worthy or not, you can know real, lasting peace - and the assurance that God still has a plan for your life. 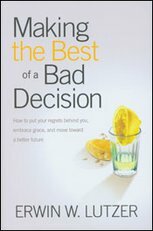 The idea for this book came to me when speaking at Promise Keepers. There were many men who came to faith in Christ, but then failed in their walk the next week or the next month. So they assumed that this new life was not for them; they thought that God was so angry with their failure, they might just as well live on the fringes of the Christian faith, rather than making it the core of their lives. This is a message of grace, not only in establishing our relationship with God, but in reconciling with those we have wronged, or who have wronged us.